eBay has released a new commercial inviting you to sell what you don’t need on eBay. 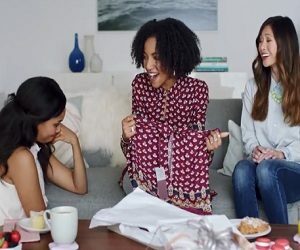 The 15-second spot, highlighting that “selling is easy”, features a young woman who receives from her friends a blouse as a gift. The “problem” is that she already has the exact same blouse, so she decides to sell it. “Already have it? Selling on eBay is easy. List, sell and get paid”, says the voiceover, while on the screen we get to see that another woman bought the blouse and loves it. The ad ends with the company’s tagline, “List, sell and get paid”.